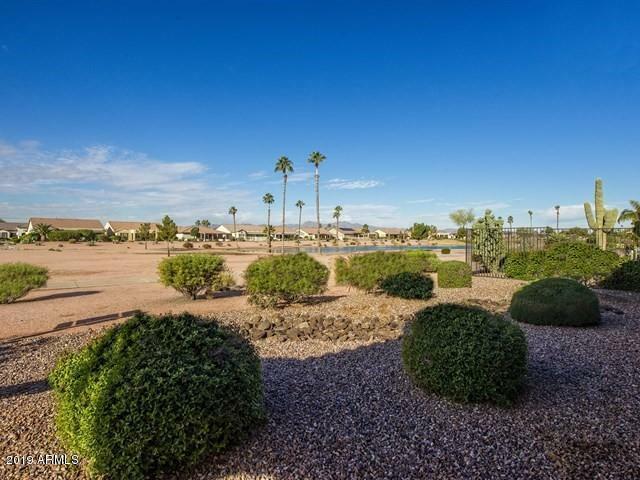 PRICED $32000 BELOW APPRAISED VALUE - Upgraded Medina model - VIEWS - Lake, Golf Course, Mountain views + Incredible Sunsets. This Luxury home has a one bedroom Casita GUEST HOUSE. A HUGE Extended length GARAGE has room for large trucks. Enclosed Courtyard ...Full Length covered patio, Fruit trees. 2 Beautifully appointed ensuite bedrooms plus den. The master bath features a large bath tub,separate shower & double sinks. The guest bedroom features a newly remodeled shower. GREAT ROOM has a beautiful FIREPLACE, large view windows & sliding doors opening to full covered patio. A Chef's kitchen has exquisite upgraded granite, custom cabinets with a center island, & stainless steel appliances. Dining room has sliding doors that open to the walled courtyard and a signature chandelier.